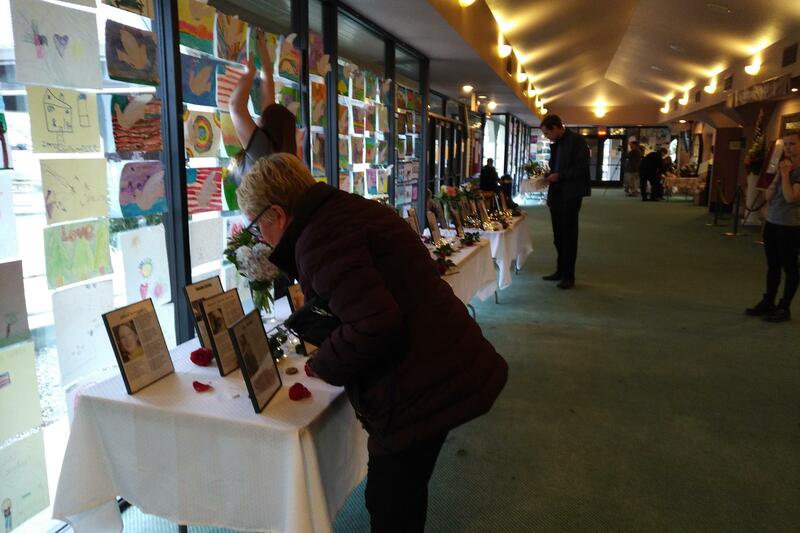 Ruby Roethler, 71 examines photographs of those who perished in the Camp Fire during a memorial service in Paradise. Hundreds turned out Friday for a somber, yet hopeful ceremony memorializing lives lived, and lives lost in Paradise. As the lights dimmed before a capacity crowd at the Paradise Performing Arts Center, (FX) a mournful bell focused attention both on the struggles and terror witnessed by those who survived, and the 85 who didn’t make it. 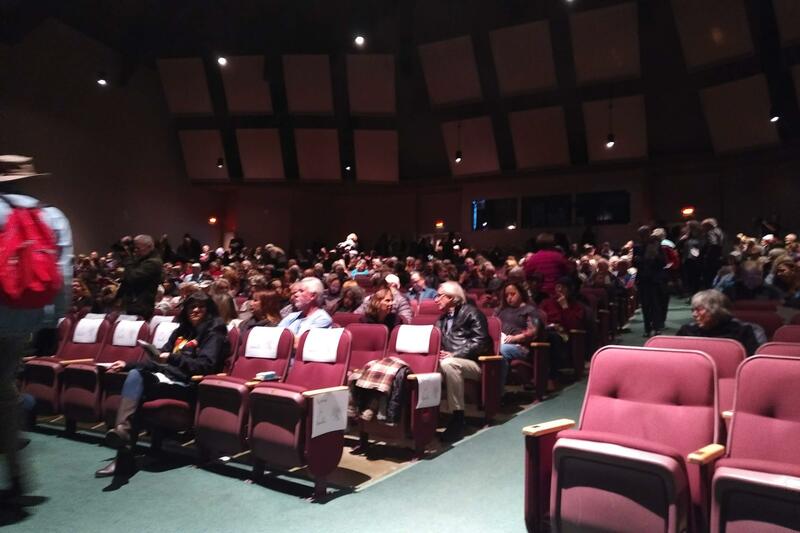 Hundreds packed the Paradise Performing Arts Center Friday for a memorial service and interfaith celebration of life for those who perished in the Camp Fire. Organized by the Chico Area Interfaith Council, the multi denominational service featured speakers and prayers from a multitude of religious traditions, all seeking meaning, solace and understanding following one of the deadliest tragedies in modern California history. CBS-12 anchorwoman Linda Watkins-Bennett offered opening remarks. “The loss that we are all feeling is tremendous. Not only for the impacts we continue to experience as a community, but especially for those who did not survive. For their friends, and their family members. It’s been exactly three months today since the fire started, the healing process is just beginning.” Bennett said. Following slides of the lost and a mournful piano, the prayers began, with a handful of tear-stricken attendees staggering out into the lobby for composure. Outside, stumps and singed birch trees frame the hall’s entrance, wreckage of surrounding lots, testament to the fury of nature, and tenaciousness of firefighters.